BULLY IN THE HALLWAY: It's ROAST WEEK! See you this Saturday at the Rock and Roll Pig Roast! It's ROAST WEEK! See you this Saturday at the Rock and Roll Pig Roast! That's right, it's ROAST WEEK everyone. The first annual Rock and Roll Pig Roast is this Saturday. 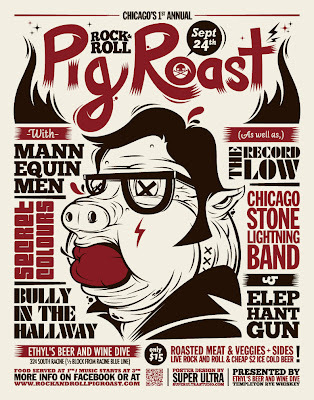 Today on the Rock and Roll Pig Roast website there is a Bully in the Hallway feature, complete with a mini interview with Simon.